Abysrok is a small boutique cattery where all kittens are raised in the house with loads of love resulting in happy confident "mini mountain lions" ready to rule your world. Although the kittens all come from champion show lines health & temperament is the prime consideration here. Breeding mostly tawny with the occasional cinnamon why not let an Aby "rok" your world. 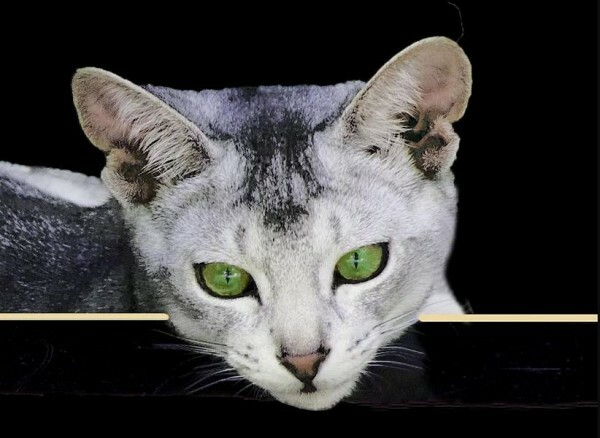 Osiris(V) "Abyssinian Breeder of the Year" consecutively since 2009. Osiris(V) Queensland Royal Supreme Feline Exhibit 2010, 2011, 2012 & 2013. Home of Osiris(V) Fast Talker, Australia’s Supreme Abyssinian 2012, 2013, 2014. At stud, 2013 Royal Sydney Supreme All Breeds Exhibit Osiris(V) Sammy Davis Junior. Breeding exceptional kittens from top quality German, Canadian and Australian lines. All our kittens are home raised with tons of love and affection - "Always underfoot"
Shayba is a small cattery specialising in breeding silver Abyssinians. 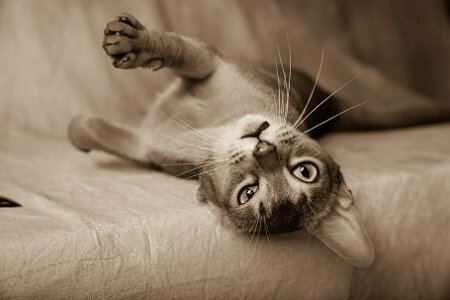 These beautfully coloured and highly distinctive cats make lively, intelligent, playful and loving pets. Bred from show winning lines our kittens are raised underfoot in a healthly home environment. All enquiries welcome. My name is Sandra Doyle and I live in Bracken Ridge. Health and temperament are most important to me. I have only tawny kittens and rarely a cinnamon. The kittens are house raised, socialised and very happy. 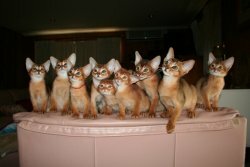 Our cattery opened in 2010 breeding Abyssinian cats. We live 45 km north of Brisbane and breed mostly tawny and cinnamon and the occasional blue. Kittens are born and live inside until going to their forever homes. Well adjusted, confident, happy and affectionate kittens. All cats have access to fully enclosed outside areas. Registered with Qld Feline Association and abide by their rules. All cats are desexed, microchipped, wormed, vaccinated x 1 or 2. A four generation pedigree and kitten care sheet will be given. 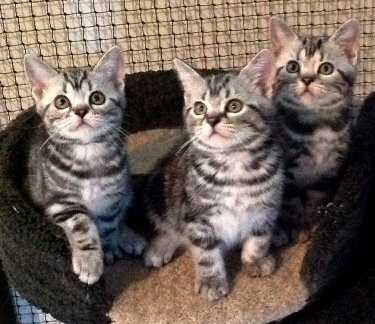 Registered breeders of quality American Shorthair kittens. Dedicated to breeding for health, type and temperament. All kittens are lovingly raised in our home and are very well socialised. The Asian Shorthair has been a well established breed in many countries in the world. We at Kittykatz are very proud to be introducing this breed into Australia. 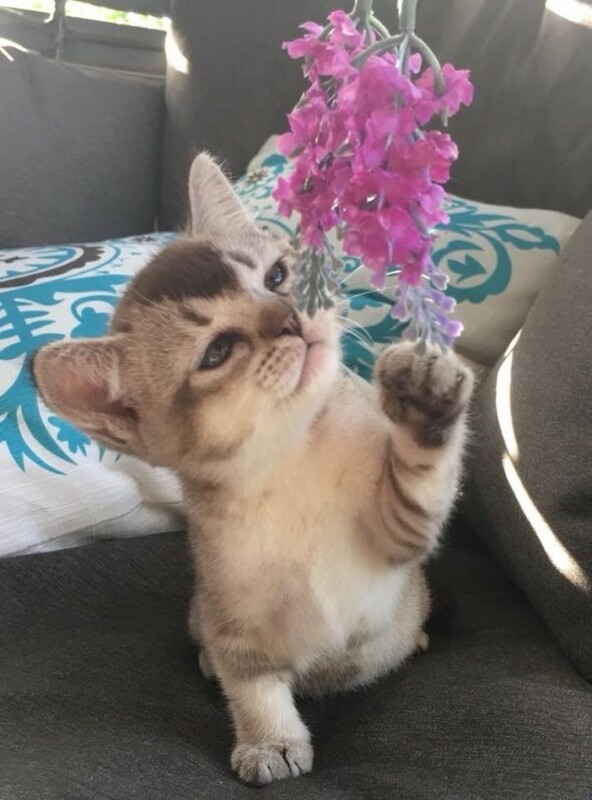 The Asian Shorthair is a sister breed to the Burmese having the same loving nature and also having that beautiful wild look with its colouring and markings. Being a intermateable breed with the Burmese this truly lovely cat has a wonderful nature always willing to please and be around their owners. All enquires about this beautiful breed are welcomed. Small breeder of Siamese, Balinese, Orientals & Foreign White shorthair/longhair for beloved pet and show. Lovingly raised as our own. Please visit our website for more information. We are a small breeder striving for excellence. All our kittens are raised under foot in a home environment. We are producing show/pet quality family members. All our kittens and cats have big hearts and a calm attention seeking temperament. Breeding strong wild looking Bengal cats with adorable personalities. 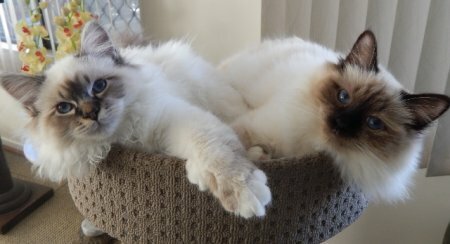 Breeding solid and tabby point Birmans for health and temperament with loving natures on Brisbane’s northside. All my kittens are born and raised in my home with love. Please check my Dreampoint Birmans Facebook page for more information. 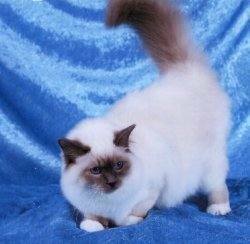 Gramar Birmans are breeders of quality Birmans in seal, blue, chocolate and lilac points and our adorable tabby points. Raised in a very loving family environment.